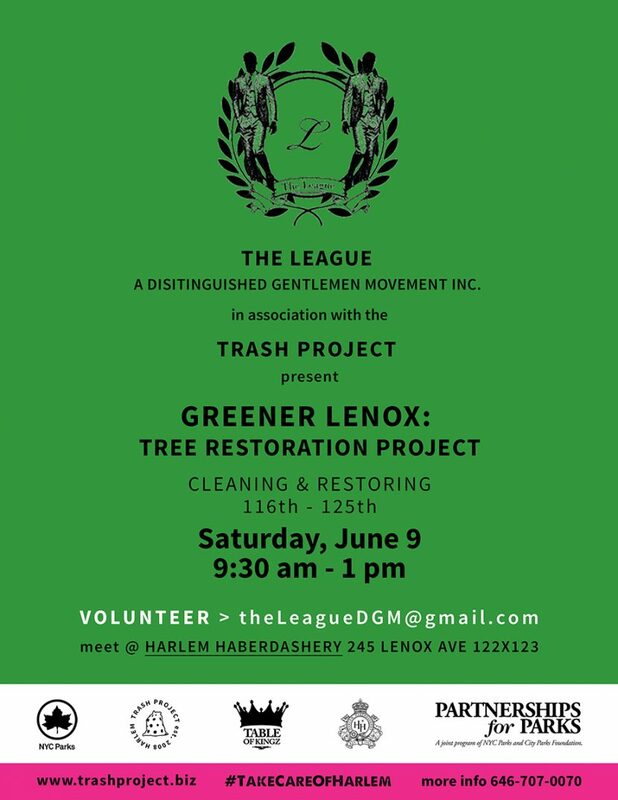 Please join us and the League, along with Table of Kingz, this Saturday for a clean up and a tree restoration project on Lenox Avenue between 125th and 115th Street. We will meet at Harlem Haberdashery on 245 Lenox Ave at 9:30 am. Finger crossed for great weather.